Mr. Grant took the podium and greeting everyone he shared his enthusiasm for the coming year. 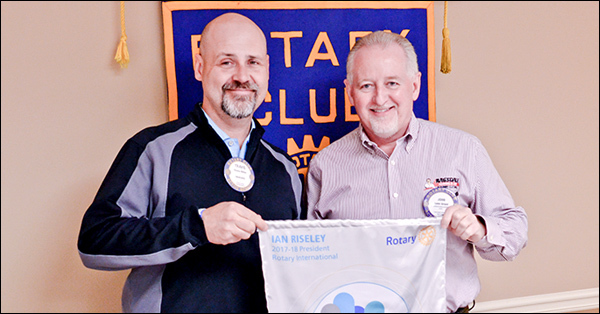 Mr. Grant shared the new thing for the Rotary, "Making a Difference." This new theme fits hand in glove with Mr. Grant's optimism and expectations for the service as president he is looking forward to. 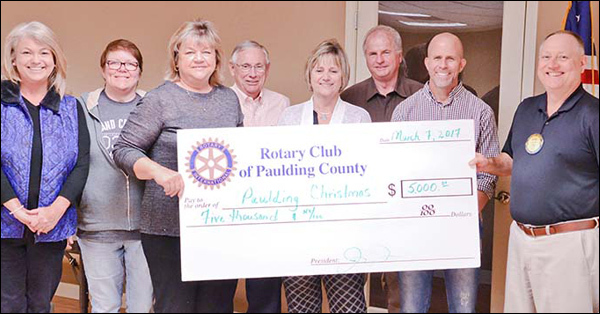 Every year the Rotary Club of Paulding County organizes an Invitational Christmas Parade for an for the city of Dallas. All proceeds are donated to Paulding Christmas, a local organization dedicated to providing for families and children. 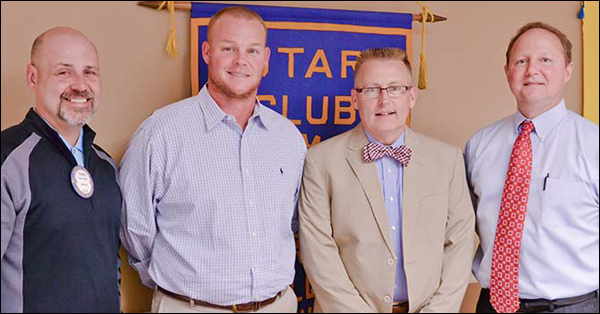 Principal Wilcox recognized many members of the club as he himself is a long-standing member of the community and an educator of 22 years. Two years ago he became principal of the Paulding in high school. As our County has grown it now currently has five high schools, Paulding County high school being the original high school.